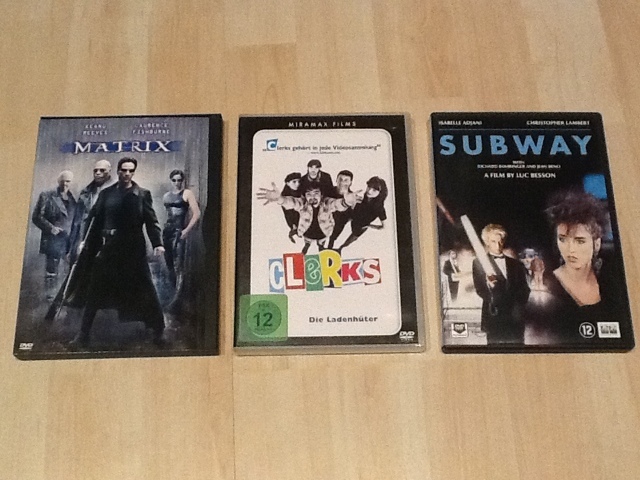 Give exactly 3 books, movies, albums which are THE important ones of all times to you. These are the “if you don’t know them you’ve missed essential stuff”-ones. Make it 3 and no more! This limitation is the hard part, as you will find out if you try it. 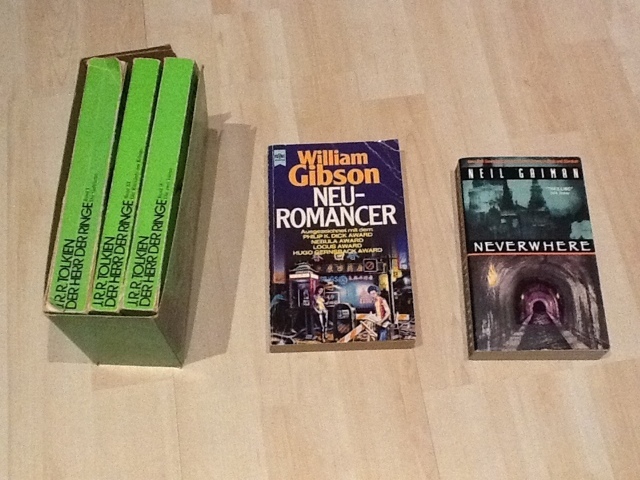 Books: Lord of the Rings by Tolkien, Neuromancer by William Gibson, Neverwhere by Neil Gaiman. Finished Shockwave Rider. Really cool, sometimes hard to understand but a worthy 3×3 entry IMHO. Listened to Moving Pictures. Yep, cool stuff. Listened to Dark Side of the Moon again. Still cool after all these years. 1. Downloaded the Brubeck Album, but still listening. First two songs were awesome. 2. Reading Shockwave Rider now. As a fan of cyberpunkt I had this on me “Read-me-List” for years until now. 3. Once and future king is one of my favorite books, too. It just made not the Top-3, though. Some interesseting music which I did not listen to for years. Have to change that :). The movies and books are a good tip, too. Thanks for that. Found “Raupe Nimmersatt” on ShareIT and included it into my calibre db. Will read that again. Long time from being a kid. Actually, I read the bible already. Interessting, not only for the former atlar boy. 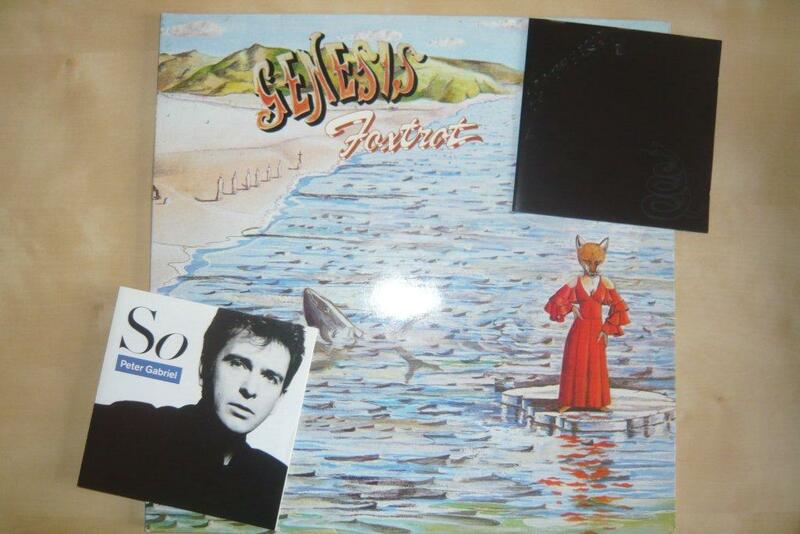 We definitly have a Peter Gabriel peek in music. 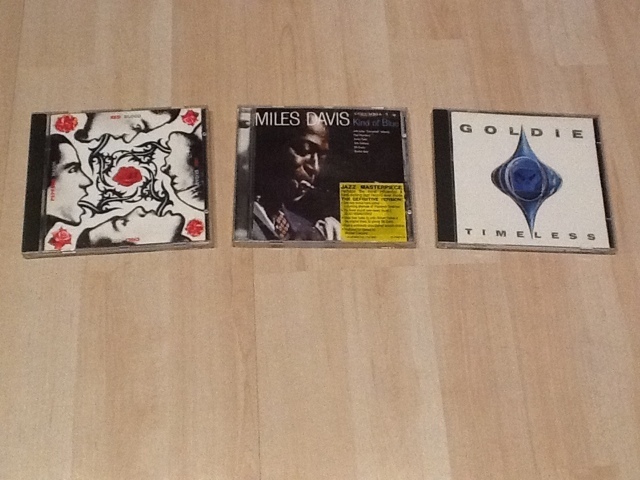 Have to listen to some of this records, soon.